Charles Brubaker is creating cat comics! Thank you for checking out my Patreon. Any support I get helps make it easier to continue working on my comics. - You will get my sincere thanks! - See my comics in advance before they get released in public. Same as above, but with extra special thanks! Get a print-quality digital file of a comic of your choice every month. Get a mini-comic and a sketch in the mail every month! 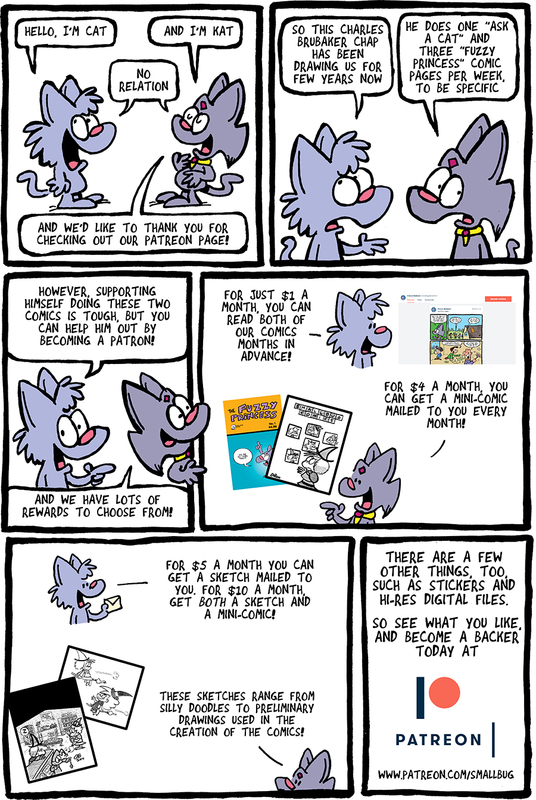 After one year, you will receive an original "Ask a Cat" comic strip art that appeared on GoComics!